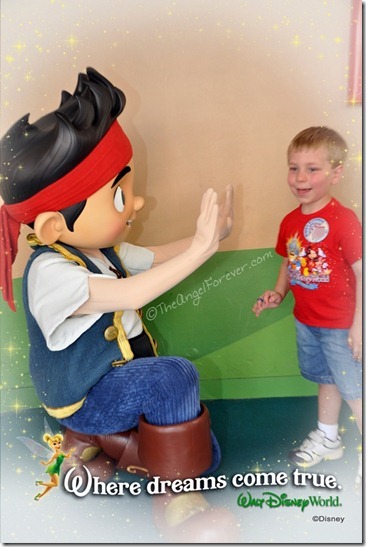 One of the beautiful things about Walt Disney World is being able to watch your children’s interactions change with characters. 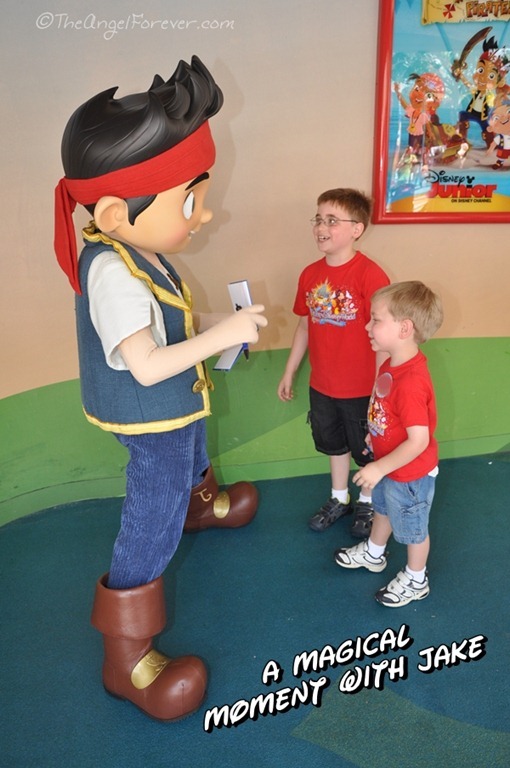 My youngest has gone from hiding under tables at Chef Mickey in May 2009, to requesting a visit with a favorite pal to get an autograph before leaving. In May, we were at Hollywood Studios in the morning for our last day of a family trip. JSL reminded us that we did not have Jake’s autograph in our book. 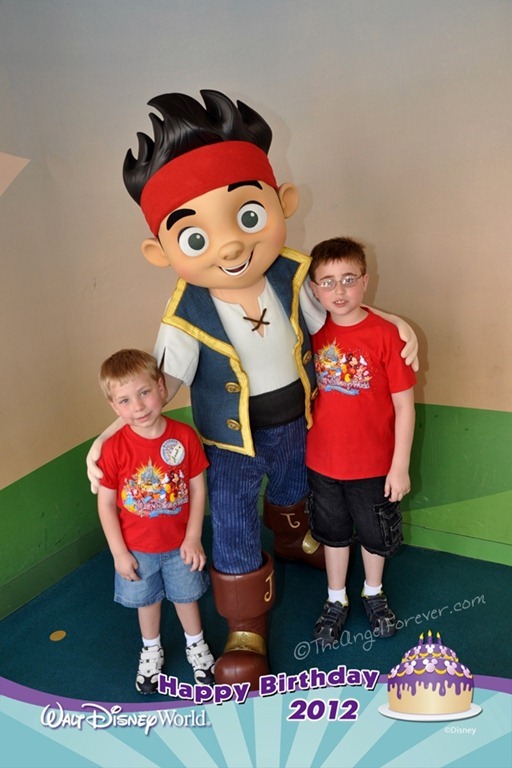 After going on some rides and having breakfast, we went over to the Disney Junior area to meet up with Jake. Once again, the cast members who are limited to no words and only body language impressed me. Jake noticed JSL’s birthday button. The photo on the left was taken just after he pointed it out. Then, NHL said something about what he was writing and Jake started to “joke” with him. He cracked NHL’s serious side and genuinely made him laugh and smile. The kids were even more in love with Jake. When this was over and NHL read the message to JSL, the little guy’s shy smile came shining through. Two kids happy, smiling, and laughing. Yes, Jake had won my heart and I knew that this memory would be something that we would all remember for a long time. 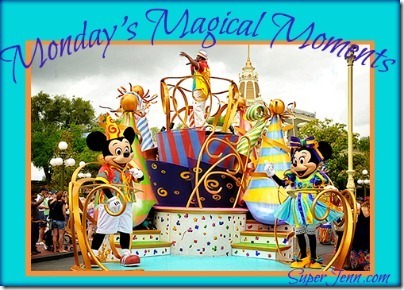 Thank you Jake and Walt Disney World for yet another magical moment that we will never forget thanks to capturing it on camera. Do you have a priceless moment with a Disney character? I would love to know all about it.